Master bread baker Mark Furstenberg talks about his signature dark-crusted bread and offers tips for achieving its texture and flavor at home. 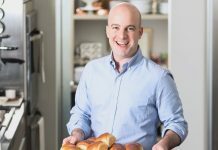 Mark Furstenberg is passionate about bread. 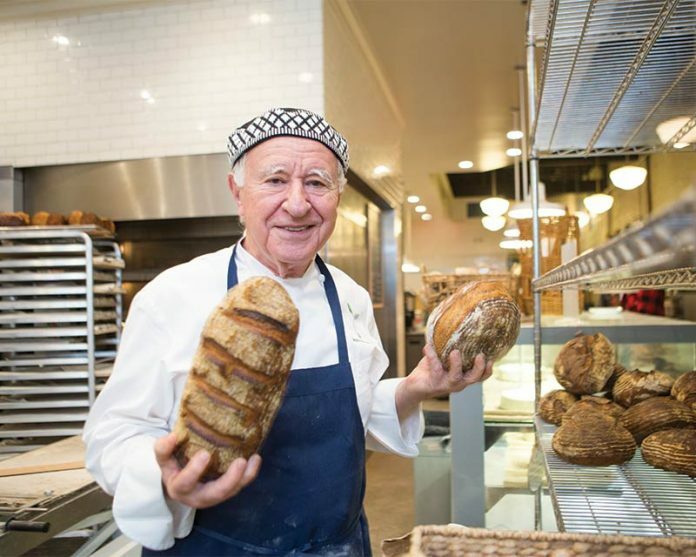 To be more specific, the 77-year-old baker and longtime Washingtonian has dedicated his nearly three-decades-long career to refining and popularizing dark-crusted bread and its aromatic blend of nutty flavors and crunchy texture. His commitment to crafting traditional breads for contemporary palates is something that’s garnered Mark the well-deserved respect of the bread-making world and, perhaps more importantly, the devotion of customers who regularly line up outside the door of his Connecticut Avenue bakery Bread Furst in northwest Washington, D.C. I recently spoke with Mark, who was eager to chat about the bakery, his bread baking inspirations, and, of course, that incredible dark crust. Where did the idea for dark-crusted bread originally come from, and why is it so important to you? Mark Furstenberg: Dark-crusted bread is a novelty in this country. But even in countries like France and Germany where dark-crusted bread has a much longer tradition, light-crusted bread has become quite popular. In Paris, there’s a bakery that I like called Au Bon Pain Cuit, and they specialize in well-cooked baguettes with deep caramelization of the crust that adds a dimension of flavor to bread that cannot be obtained in any other way. Do you view the dark crust as the most important part of the bread? MF: I think of bread as being a contrast of textures and flavors. The first thing that you feel when you put it into your mouth is the crunch of the crust. The first thing you taste is that dark caramelized flavor. When the crust is pallid, one important dimension, indeed the first that I think people sense, is lost. 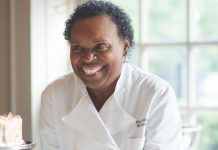 I think that’s why when I first tasted a dark-crusted bread, which I think was at a bakery called L’Autre Boulange in Paris, it was a revelation to me. What’s the key step to getting the crust? MF: I think there are two steps. One is getting the crust moist so that the sugars can gelatinize, which is a natural process. The second step is baking it long enough so that the crust develops flavor. MF: Impossible to answer. It depends on the size of the loaf and the character of the loaf, which is related to the flour used. The best way to know whether a bread is cooked is first, crust color, and second, the internal temperature of the loaf. The internal temperature of the loaf at its middle should be 210 degrees Fahrenheit. This is why it’s a good idea for home bakers to invest in an instant-read thermometer.